Glamoration: My Move In Day Tips! My Move In Day Tips! While packing my clothes I used Huggable Hangers. I usually buy them on HSN but they also have them at Target and similar hangers at places like TJMaxx and Marshall's. I love these hangers because your clothes actually stay on them! When I was done hanging my clothes, I used a large Ikea Bag. It's only $0.59 for one and is extremely durable! I then just neatly placed my clothes in the bag. It was extremely convenient because once I was all moved in, all I had to do was take the clothes out of the hanger and hang them up in my dorm closet. Lovely video and ideas!! 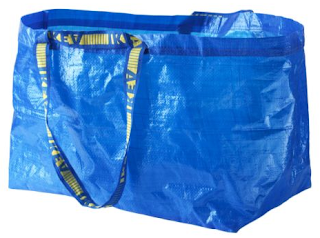 I think I'm for sure going to try the idea of the Ikea bag! Thank you!